Few decisions about the future are of greater concern than buying or selling a home. 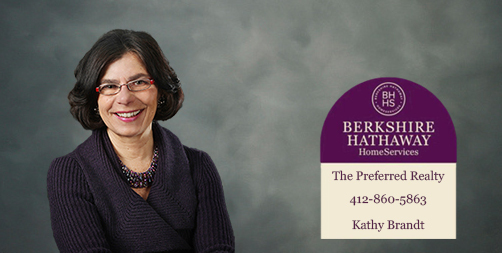 Kathy Brandt takes her responsibilities as a Realtor seriously. She is a full time agent working with sellers and buyers to help them make informed decisions with relevant data. Kathy will listen to understand the objectives of her customer and work to see that those objectives are accomplished in a thoughtful and responsible fashion. The richness of the experience will combine Kathy's enthusiasm and expertise with the committment of the customer to his or her objective. Raise your standards, contact Kathy Brandt.